Two-Gether Runners in the Press! The stories you will read about in this press release are amazing and very touching. They are far more powerful than our accomplishments and we feel honored to be highlighted along with these great runners who have faced many different adversities and overcame them! We are hoping to have the opportunity to meet some of these runners during the weekend of the Napa Valley Marathon. These stories really go to show you how “You can accomplish anything if you set your mind to it”. We hope you take some time to read through these as they will definitely help to motivate you and help you to overcome any obstacles or hurdles that you may face throughout your lives! 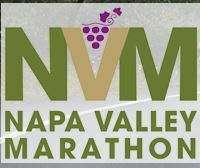 The Napa Valley Marathon has been highlighted by Forbes Travel as one of the top ten marathons in the world “worth traveling for”. And Runner’s World magazine selected Napa Valley Marathon as one of the top ten U.S marathons for first time marathon participants in January 2011 issue! Check out what Forbes Travel and American Express Departures Magazine have had to say about the Marathon. We are so excited about having the opportunity to participate in this marathon! It has been a tough year and we have not been training but decided to run the Murfreesboro Half again this year. Emily also had a tough year with her classes, etc and had not been running at all but decided to join us on this challenge. Since we were all out of shape, the main thing we decided to do was to just take it easy, run/walk and not worry about time! We spent the entire 13.2 miles together on this one. The forecast for the day was raining throughout. Luckily when we woke up it was very cloudy but it was not raining. We only experienced a few drops of rain throughout the day which was actually welcomed due to the humidity! 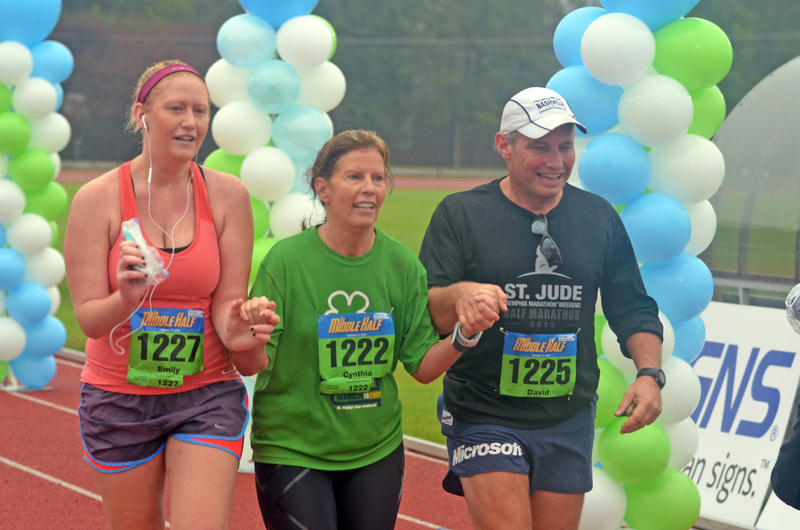 Murfreesboro Half marathon is a flat course that winds throughout the city. If we were in shape we probably could have gotten one of our best times…oh well..maybe next year! Samantha also ran this race and got her personal best at the time! Congrats! Enjoying the 13.1 with Emily and David. Proud of Emily for even attempting this given she had not worked out at all!